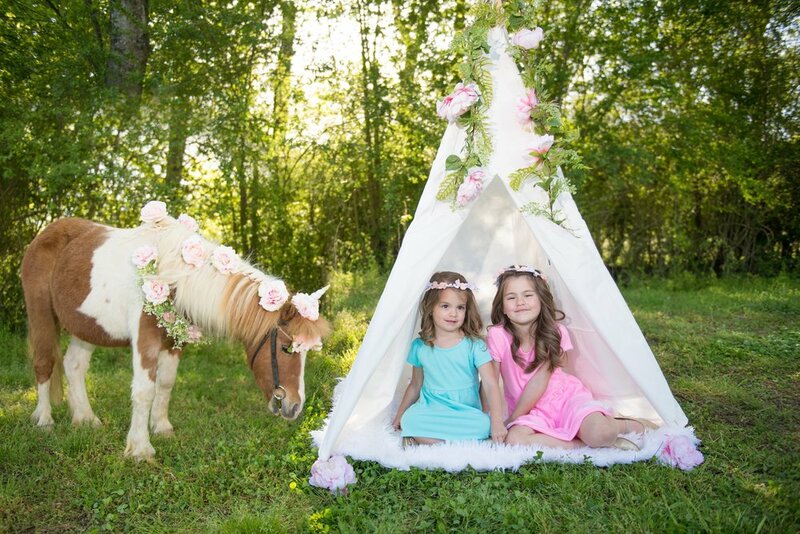 Life with a View Studio was completely charmed by these adorable unicorn photos! 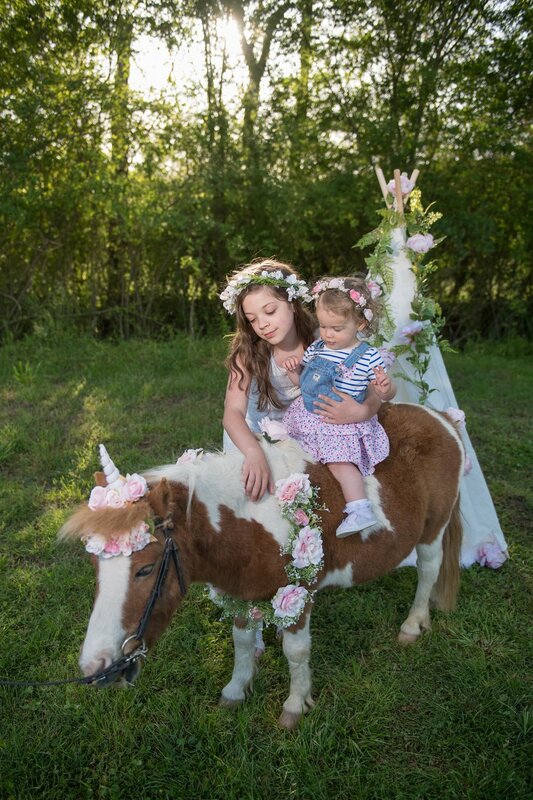 The children embraced the magical atmosphere, and Danny the unicorn enjoyed munching grass in the meadow. 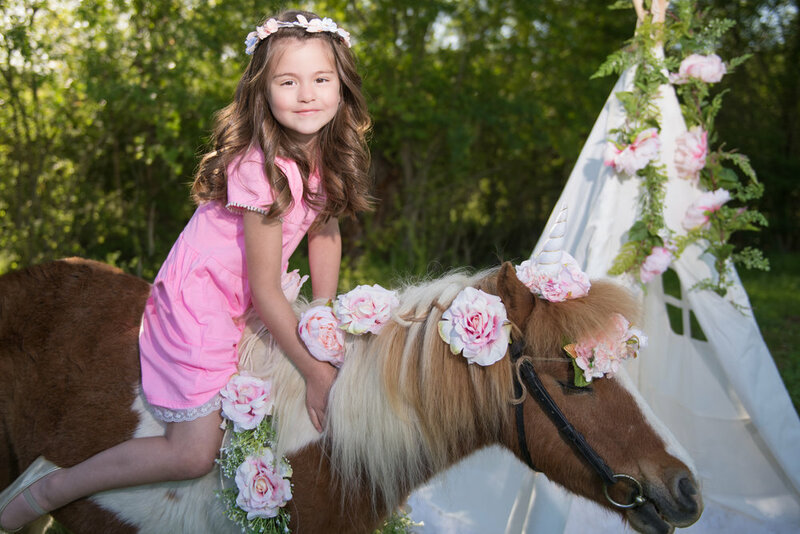 The bright green backdrop, coupled with the pink flower decor, pops in every frame as the kids have fun playing in their own real life fairy tale. Thanks to all of the families that participated. 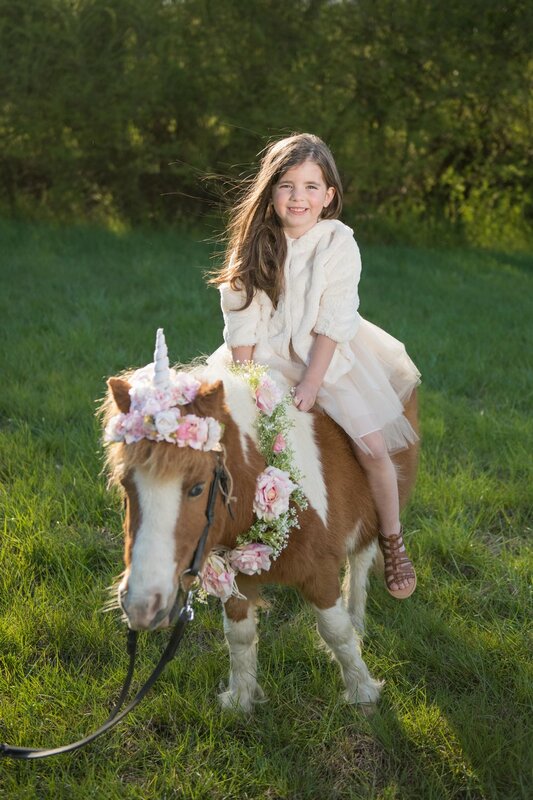 I hope these photos bring smiles to all of your faces for years to come.